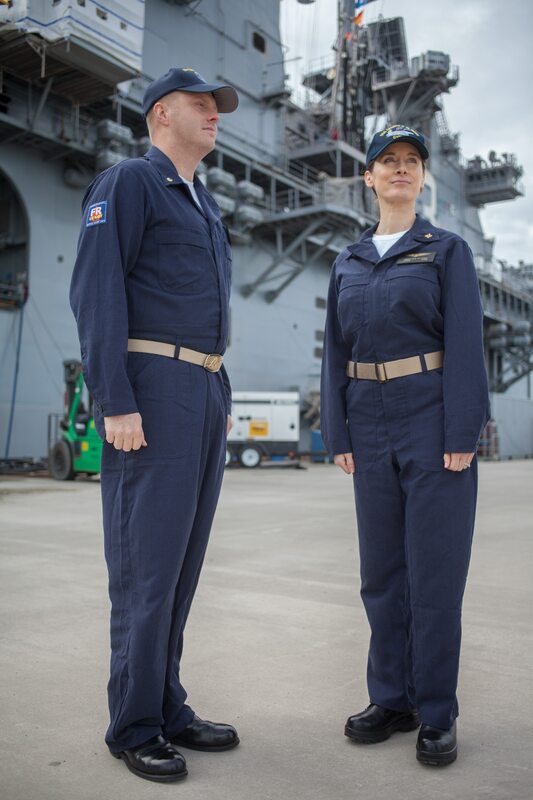 Navy Times is reporting that the Navy has selected a new underway work uniform referred to as the Improved Fire Retardant Variant, or IFRV, that is not only fire-retardant, but also reportedly more comfortable while providing arc-flash protection. Also the Navy is reportedly looking at a two piece (shirt and pants I suppose) fire-retardant underway work uniform. One thing I notice in the photo above is that the woman’s sleeve comes down well over her hand. Makes it look like she is wearing her daddy’s clothes. Maybe an adjustment in the cuff, like a second button, is in order. Found the illustration above at Navy Recognition. This entry was posted in Uniform by Chuck Hill. Bookmark the permalink.